So we have been lagging a little on posting to this blog, but we have some major “good” changes coming up soon! But you will have to wait until next week for that announcement! In the meantime if you have ever consider getting in front of the camera, instead of always hiding behind it…now is your chance! 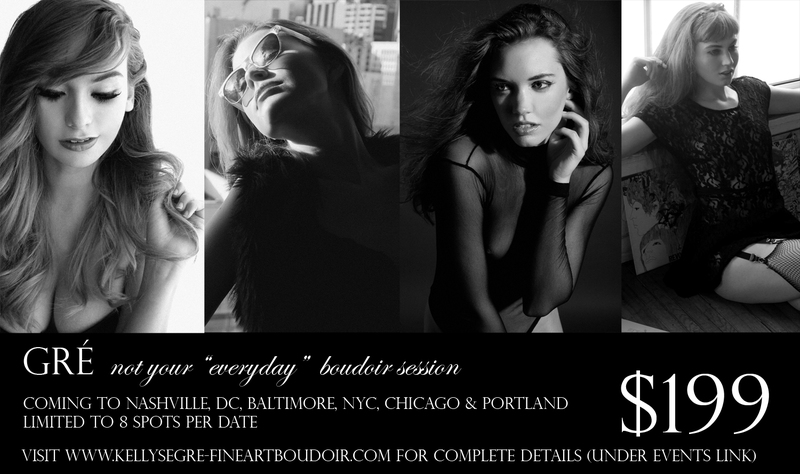 This fall “gré” will be coming to seven cities to photograph boudoir, only 8 spots are available per date! For more info visit www.kellysegre.com! Next Post Join Me at Inspire Photo Retreats 2014!